Funny Greeting Card. 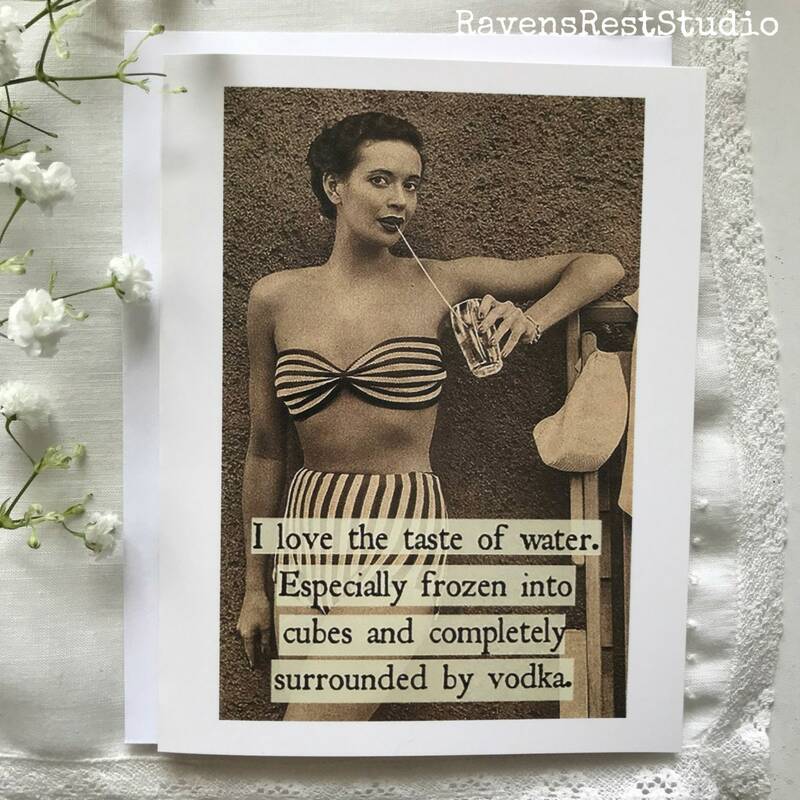 I Love The Taste of Water. 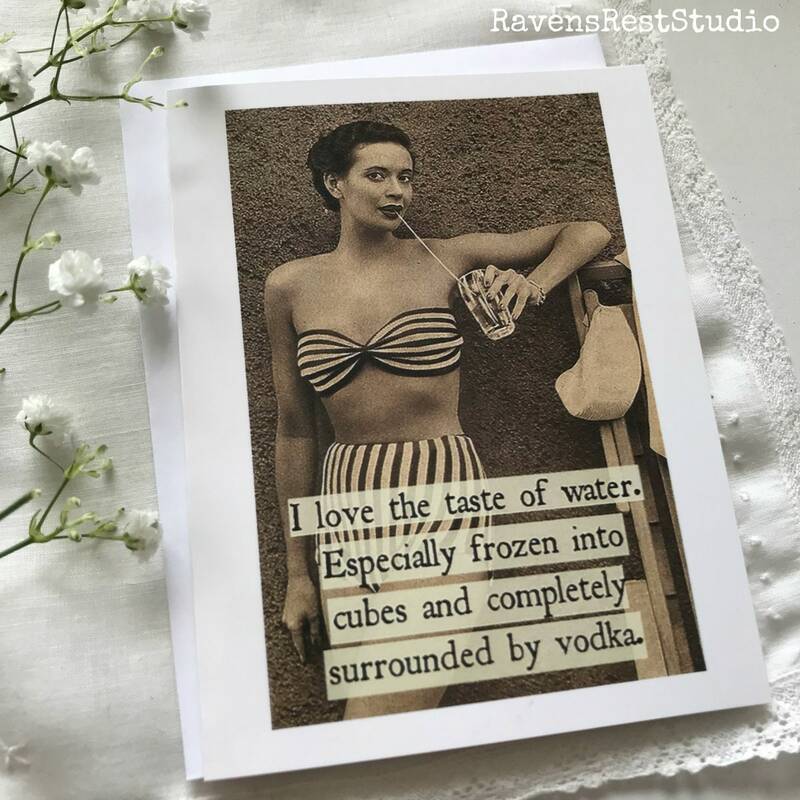 Especially Frozen Into Cubes and Completely Surrounded by Vodka. Drinking Quote. Card #27. 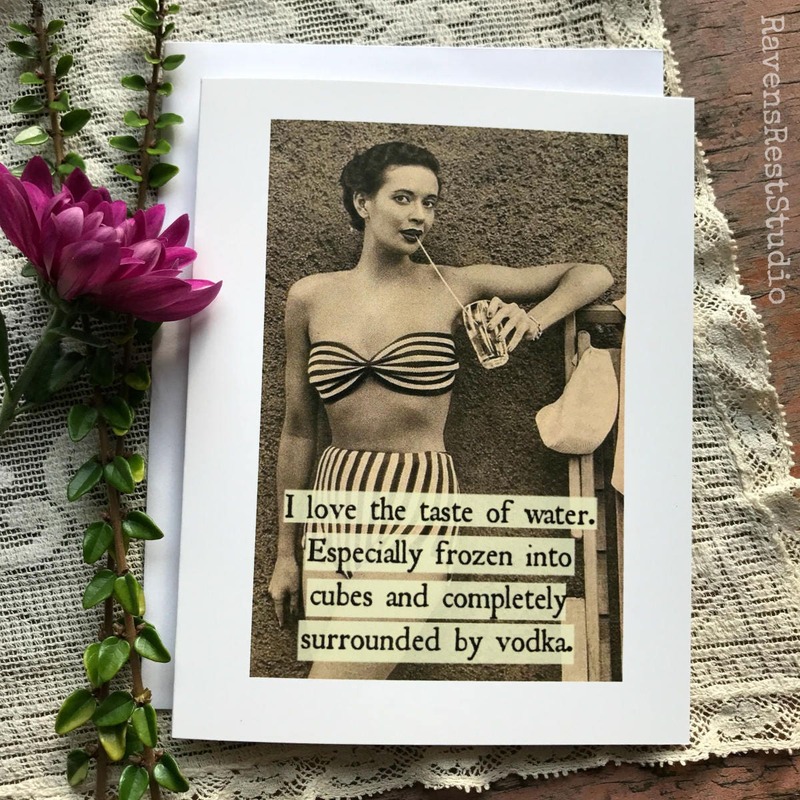 This card features a vintage woman in a lovely striped bikini and says: "I love the taste of water. 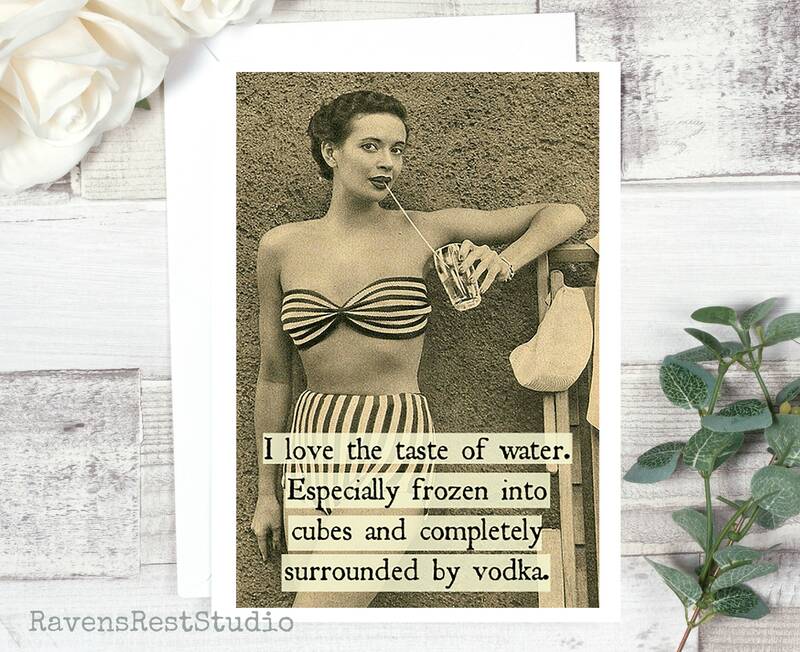 Especially frozen into cubes and completely surrounded by vodka."